Using the powerful energy of emotion as fuel for forward motion in your life! Hurray! 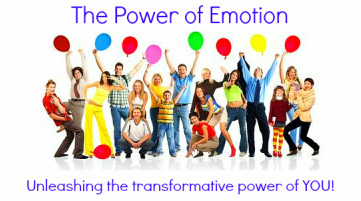 A breakthrough approach at long last to tap the power of your emotions! Ready for a new approach that uses the powerful energy of emotion to empower your life? Step onto the pathway to potential with our brand new on line video course ﻿TRANSFORM YOUR EMOTIONS﻿ ﻿﻿-- and your emotional life will never be the same again! Learn how to flip anger, fear, and frustration into (1) signals for the next steps in your life and (2) powerful energy / fuel to transform into the next levels of you. the feel good factor - creating self-esteem and confidence. Sign up now and we'll come back to you in 24 hours or less with all the information to get you started. If you'd like to pay by UK cheque or bank transfer, just fill out our contact form & we'll set that in motion for you.